Krauthammer wrote in 2014 about “Kafkaesque ethical inversions” that make for Western criticism of Israel. “The world’s treatment of Israel is Orwellian, fueled by a mix of classic anti-Semitism, near-total historical ignorance and reflexive sympathy for the ostensible Third World underdog,” he wrote. 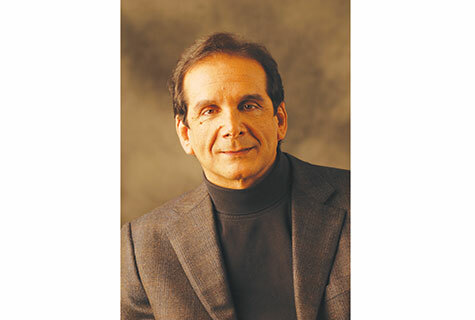 Krauthammer’s profound understanding of Jewish history, his admiration for Israel, and his very deep concern for its future were on fullest display in a magisterial essay he published in The Weekly Standard in 1998 entitled “At Last, Zion.” The essay conducted a sweeping analysis of Jewish peoplehood, from Temple times and over 2,000 years of Diaspora history to the modern return to Zion. In this lengthy conversation (which you can watch and read online; search Charles Krauthammer At Last Zion Tikvah), Krauthammer admitted to “trembling doubt” about God alongside belief in some transcendence in the universe, and then he repeated his sobering solicitudes about Israel’s precariousness. He spoke of the impossibility of a fourth Jewish commonwealth – were Israel, transcendence forbid, to be crushed.